What Makes Nordstrom’s Marketing Strategy Different? As digital retail continues to grow and offer consumers new ways to shop, we worked to identify the ways retailers are planning to generate revenue and grow their business, what they are prioritizing and the challenges they expect to face. Download the full Digital Retail Innovation Report to learn more. Have you noticed how customer experience design has grown in importance of brand marketing? More and more trying to astonish the customer. Certainly a real discriminator, isn’t it? The customer focus at Nordstrom has led to the retail giant having a reputation for an absurdly great customer experience design. In fact, the Nordstrom marketing strategy uses customer experience design as a key difference maker. The company is perhaps as known as much for its experience design as it is for the merchandise it sells. 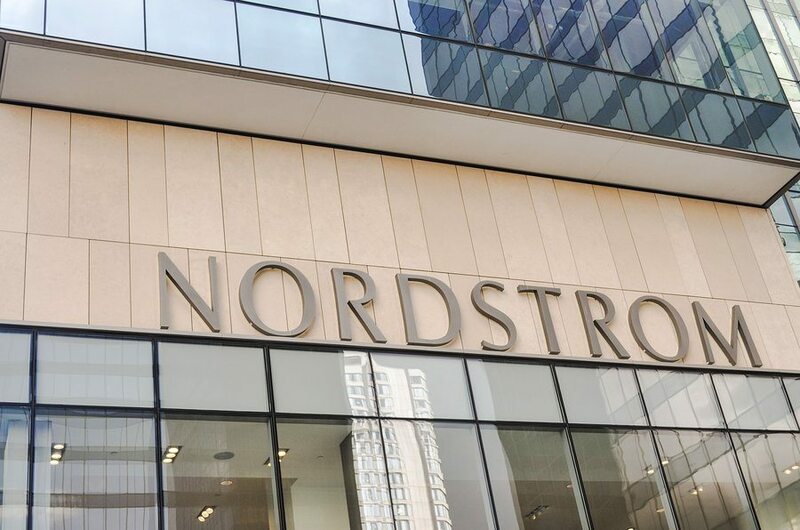 Today we will examine 10 different ways the Nordstrom brand has chosen to use their customer experience to stand out above the noise and become a significant contributor to their marketing strategy. The end state quality of the product or service the customer receives is what counts. However, this includes the experience the customer remembered while he purchased the item. Often that is what is remembered the most. So what constitutes a great customer experience? The quality of your company’s customer experience is ultimately determined by the way customers feel after their last interaction. If the customer is unhappy, your company’s customer experience is bad. If the customer doesn’t have a feeling one way or the other, your company’s customer experience is mediocre (and some would argue bad). If the customer feels good, your company’s customer experience is satisfactory, but it does not stand out. But if the customer feels delighted, your company’s customer experience is a substantial competitive advantage. That is the only one that really matters to success. It is the one everyone is attempting to find the magic for. Feelings and emotions certainly have a significant role in the way customers influenced in the marketing process. Some are saying that all customers are concerned about right now is price. I challenge that. It takes no special skill to follow the leader or be the (momentary) leader with the lowest price. Companies that are thriving (yes, thriving) do more. They have made deliberate decisions about how they would run their business, and they live out those decisions every day. The most important of those decisions is the one that determines that taking great care of their customers is the highest priority. Hiring nurturers to take care of customers is the best place to start the process. You can identify this natural ability in employees during the interview process. As much as there is a tendency to move customers quickly in and out your doors in the name of efficiency, resist this approach. Today’s customer wants and expects to be cared for as an individual. For example; on “Black Friday,” as customers were standing in cold lines to get into stores in the middle of the night, one intern at a local store decided to pass out coffee, hot chocolate, and doughnuts to keep the crowds calm. A great small touch that had remarkable long term results via word of mouth marketing because of that “nurturing” gesture. In Nordstrom’s salespeople can offer to ring up your purchase without you ever having to stand in line. A great small touch that had remarkable long term results via word of mouth marketing because of that “nurturing” gesture. Have you ever been in a Nordstrom store? If you have you will remember the emphasis of the visual presentation of their products. Draws your eyes to many, even if you are not looking for them. Helping customers visualize and sometimes try on the products. Customers don’t want to be treated like a number. They want to feel valued and understood. Their belief? That the money they spend with your company entitles them to such treatment. The differentiation of the experience your company delivers will therefore be at least in part contingent on your ability to personalize your interactions with customers across all channels. That means knowing their name, their previously expressed preferences, or the particulars of their current situation. Lots of small ways to create customer personalization. A Nordstrom salesperson rarely points. If you have a question about where something is located, they walk you there. The personal touch is remembered. Customers like knowing that you care. Great service is the top reason customers keep giving their business to companies and the top reason they recommend those companies to others. On the flipside, 80 percent of customers say that they have stopped doing business with a company because of a bad service experience. More often than not, they will never do business with such a company ever again. For these reasons and others, it is critical to ensure that your company delivers great service care. Care that results in great experiences that are remembered and talked about. Separate checkout bays by department, unlike many other retail department stores that have central checkout bays that can feel like a cattle call. You can’t over prepare on your customer experience if you want customers to select or stay with your company. Be relentless about cutting out those rules that make your frontline folks have to bounce back and forth between themselves and a manager to take care of a customer or extend a special gesture they feel is warranted. This example, while being traditional, will surprise you in the best brand in this discrimination category. Ever shopped Nordstrom? Our favorite retail store because of its great, unique discriminators. Consider its high touch service, its spacious look and feel, and top quality products. One-to-one service. In most departments, if you indicate the desire to shop, there is a salesperson designated to helping you find sizes, etc. They are number 1 in our minds. Be where your customers and the folks who serve your customers are. Be agile, be on the lookout for what people are asking for, and then be responsive. If you do something for one customer in need, spread the idea through your employees to extend the gesture, too. Being responsive and empathetic and adjusting how you do business for your customers now will pay off as the memory of your kindness stays with them. Let the marketplace know about who you are and what you value in your decisions and actions. Be authentic at all costs. When you make a decision, it results in action. And the accumulation of those decisions and actions becomes how people describe you and think of you. It becomes your story. So decide what story you want told about your company and your people. Your “storefront” is the accumulation of your decisions and actions. Here’s the thing, social and customer experience isn’t just a new way of marketing, it’s really a new way of running a business. Many businesses certainly have figured this out and are using social marketing and improved customer experience to rapidly grow their business. Remember, don’t talk about how great you are. Tell your customers a story about what you do well will make them and feel awesome. Make customer experience the centerpiece of your marketing success strategy. Learn from Nordstrom’s, one of the best. See how Sailthru’s Marketing Automation Solutions can help you create a superior customer experience and increase customer retention. This article is by Mike Schoultz from digitalsparkmarketing.com.